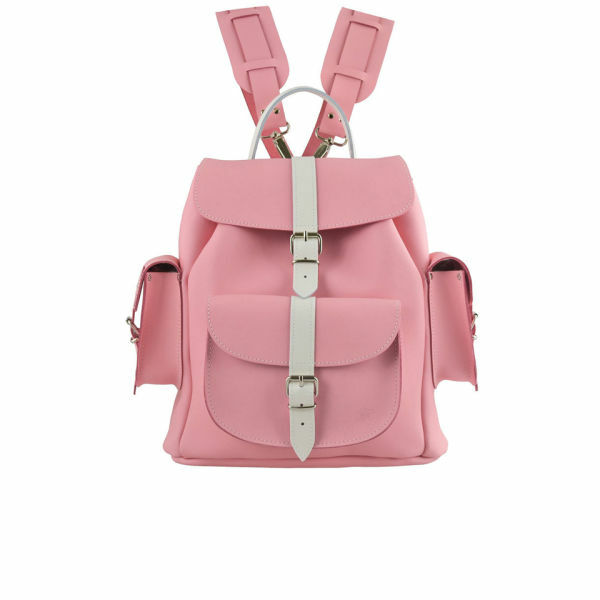 A classic design with a feminine twist, the Grafea leather rucksack in pink is the perfect accessory to punctuate your outfit. 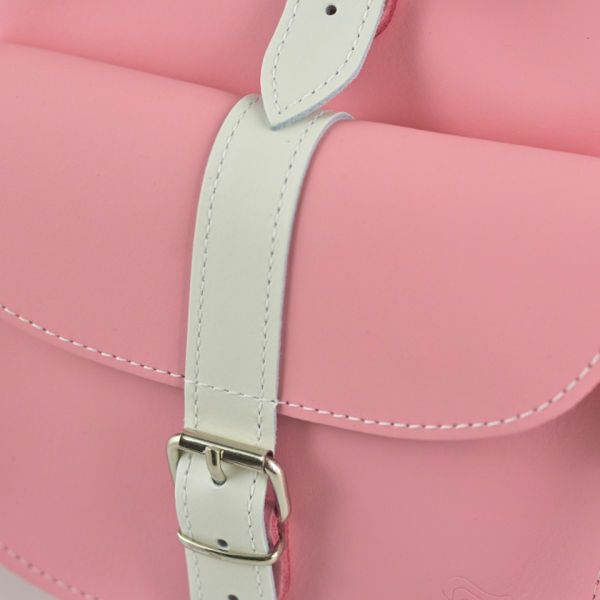 Crafted from soft, pink leather with a contrasting white buckle strap to the centre, the spacious backpack features a large interior compartment with leather cord fastener and three pockets to the front and sides with buckle closure. 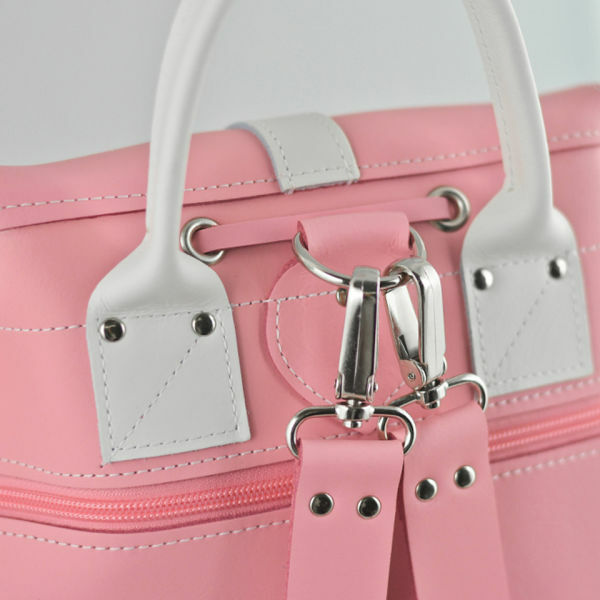 Practical and versatile, the 'Candy Crush' bag can be carried classically with two adjustable, detachable shoulder straps or alternatively with rolled top handle. Finished with silver toned hardware and zipped compartment to the reverse. - K.N. Dood quality. Easy to get dirty. Use with care. Shipping take a while. almost a month. 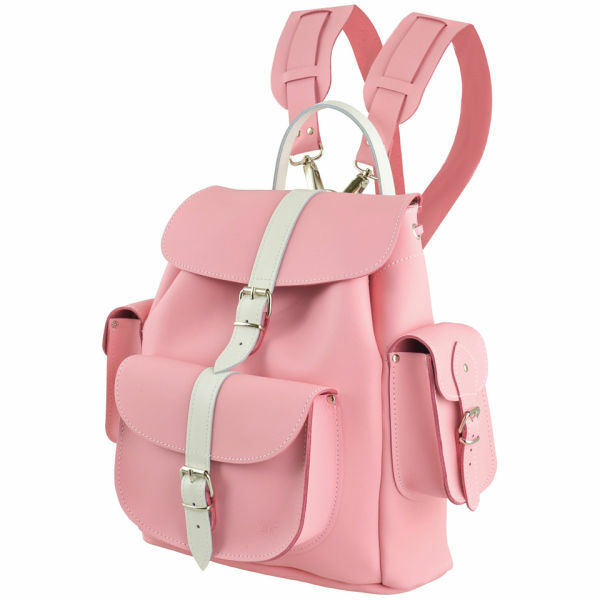 Excellent backpack，Buy after girlfriend use it every day, and their friends also illustrate the benefits of this backpack, leather, soft, multi-color, excellent workmanship, many fashion style, advantages, I live in China, about 10 days to delivery, and using a postal delivery, really good. The site is very timely delivery, I will patronize. Thank you. Better than I expeted. Just had a good vacation with it. Only hope it can be not so heavy. I bought this for my gf and she loves it.